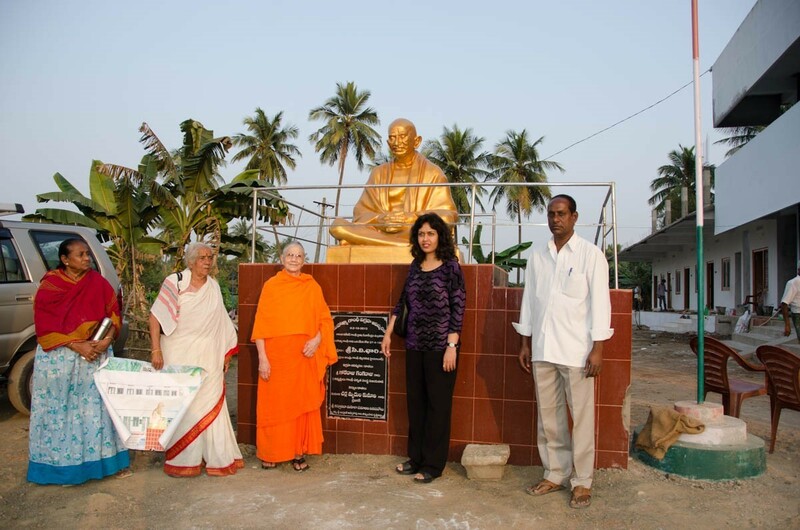 Swamini Lalitananda joined hands with Sri Omananda Swamiji in a noble undertaking. To raise funds to house, feed and educate destitute children and women in three different locations in India. After the Maha Samadhi of Omananda Swamiji, she continues the noble work with present Swamiji Sivananda Saraswathi. Sree Charla Suseela Old Age Home is a home for ‘destitute people’ established in the year 2000 by Swamini Lalitananda and Dr. Charla Vidula. It started off with 10 women, and as an offshoot of Sree Kasturibai Mahila Samajam, founded by Charla Suseela in 1953. Swamini Lalitananda is the Chairperson of this home, and also gives spiritual discourses and counseling besides providing funds. Sree Charla Suseela Old Age Home was born under the guidance of a kind-hearted lady, Dr. Charla Vidula, daughter of Smt. Charla Suseela, who provides old, abandoned, & helpless women a place to live. The home especially serves the elderly women, many of whom were living in abject poverty, and are abandoned or abused by their families, and, people who suffer from serious physical or mental illnesses. A place where one can survive in peace and die with dignity. The home is a habitat for 110 people, who have been abandoned by their family and have no other place to go to. The aim of this home is to render services that would make a difference in the lives of old and helpless women, mostly those who can’t afford to pay, by accommodating them with free shelter, food, clothing and medicines, especially love and compassion in the last phase of their life. This is a home for not only old age women, but also for mentally disturbed, blind, dumb and deaf women as well as young girls. The needs of this old age home are many, such as providing food, clothes, medicines and maintaining decent accommodation for the residents. 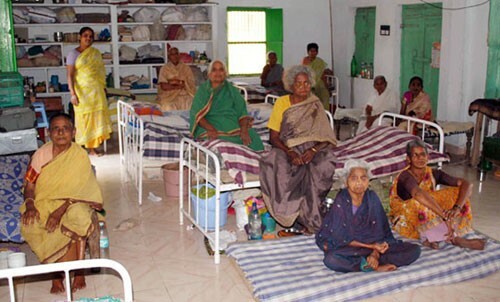 With IDRF and Sree Katuribai Mahila Samajam’s ongoing support, the old age home has been able to provide these individuals with dignified and comfortable living and medical care in a home-like environment. Please look up http://atma-vidya.org/ashrams.html for more details on Atma Vidya Ashram’s Charla Suseela Old Age Home. Dr. Sasala Challa visited Sree Kasuribai Mahila Samajan in 2014. She was pleased with her visit and was able to tour the full wing built with IDRF funds and support. The residents are elderly and ailing women that live together as a family and seem to be happy under the loving care of Swamini Lalitananda, who has dedicated her life to the care of these women.